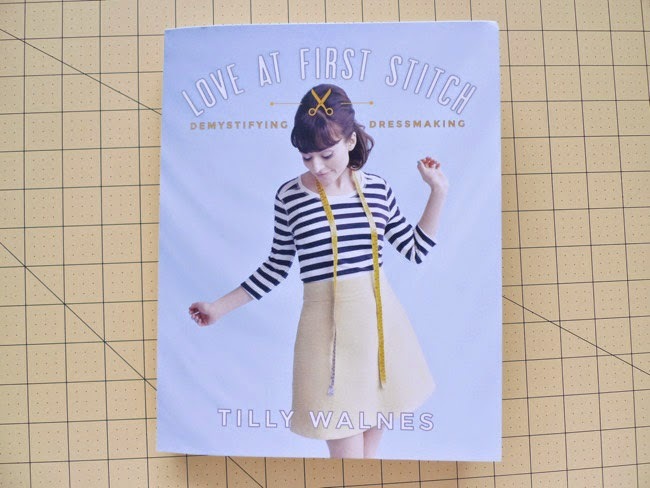 Tilly and the Buttons: Love at First Stitch in North America! 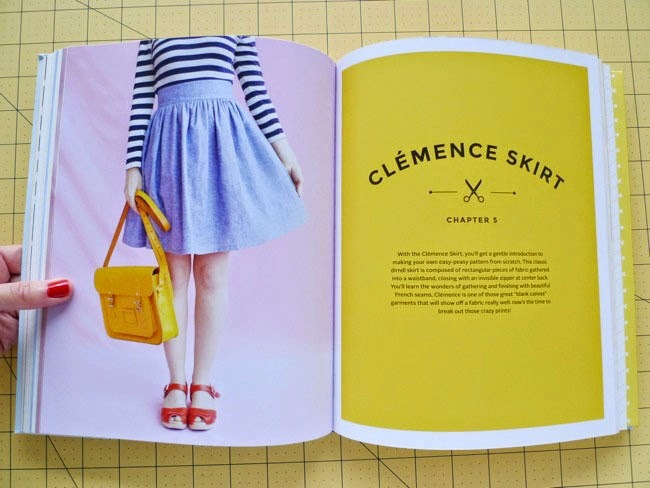 Love at First Stitch in North America! 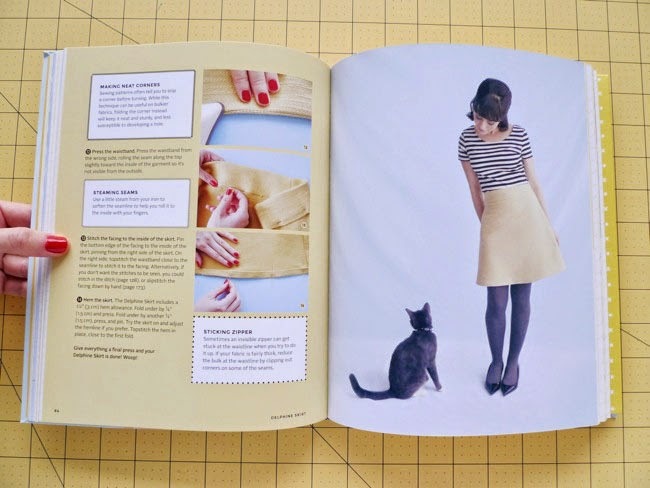 Love at First Stitch is the book I wish had existed when I started sewing. 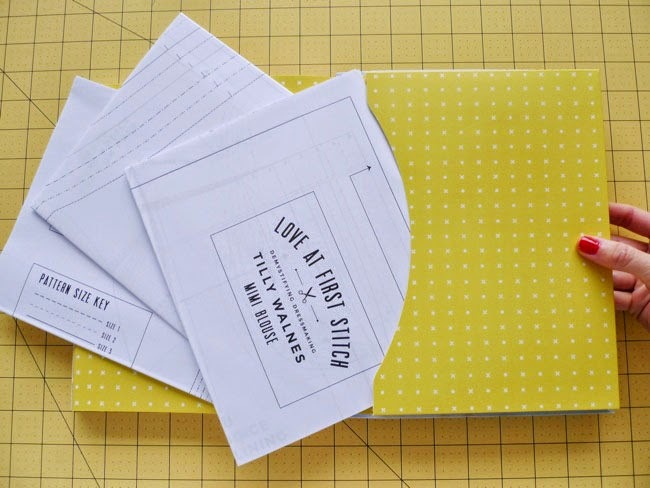 It takes you from the absolute basics of threading your sewing machine through to creating a wardrobe full of clothes you'll be proud to say you made yourself. Since the best way to learn is to get stuck in, rather than being overwhelmed with theory, each chapter is structured around a project and teaches you just enough techniques to make it. 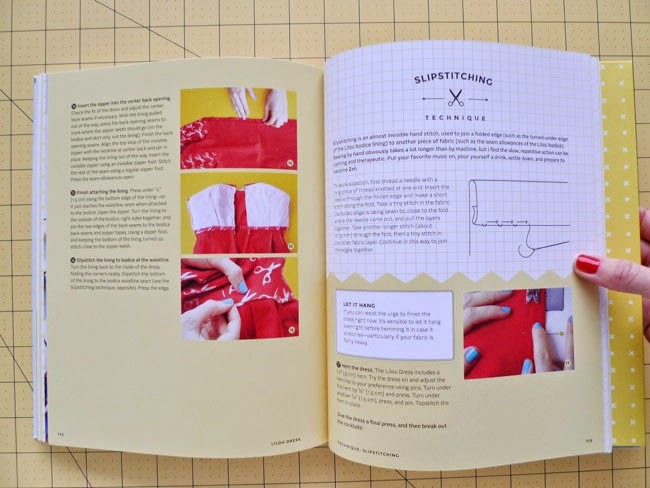 If you already know how to sew, you can skip over the techniques sections and focus on making up the patterns. 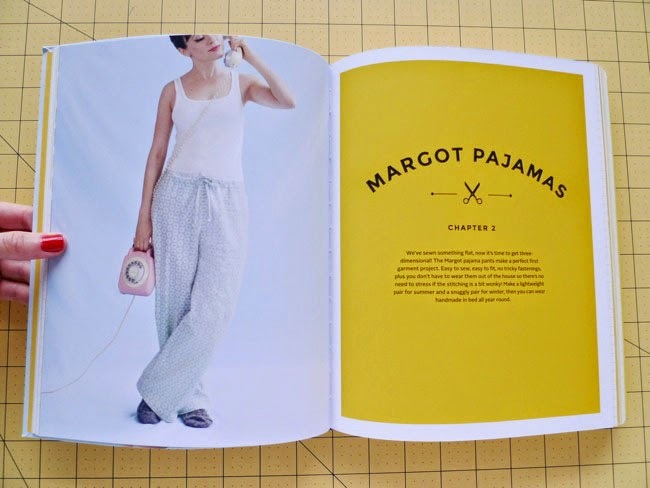 There are five patterns included on full scale sheets in the back of the book (some of them require tracing off) - Margot pyjamas, Delphine skirt, Megan dress, Mimi blouse and Lilou dress - plus instructions on how to draft your own simple pattern for the Brigitte scarf and Clemence skirt. 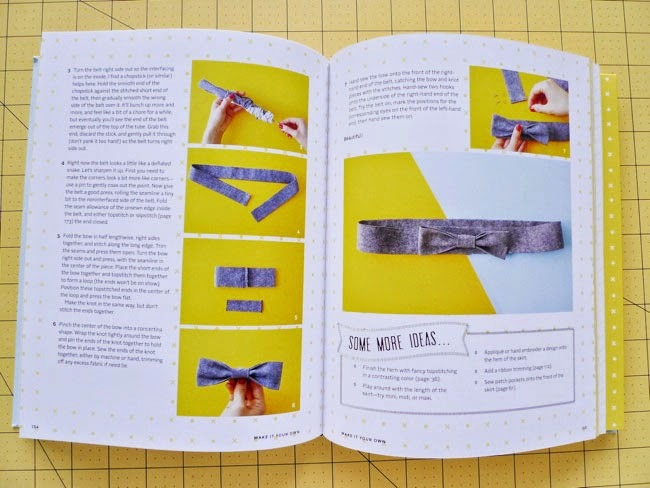 Each chapter also includes a section called 'Make It Your Own' which demonstrates variation ideas for all the projects - making 21 projects in total. 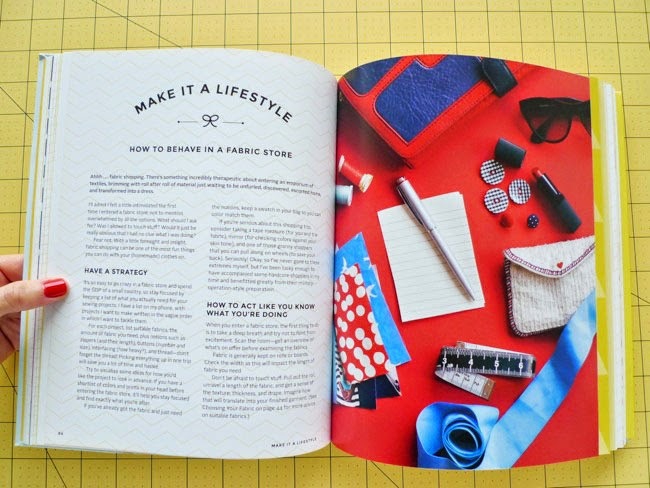 The 'Make It a Lifestyle' sections feature (slightly tongue-in-cheek) musings on hot topics around becoming a DIY dressmaker, such as how to fit sewing into a busy life and how to behave in a fabric store. 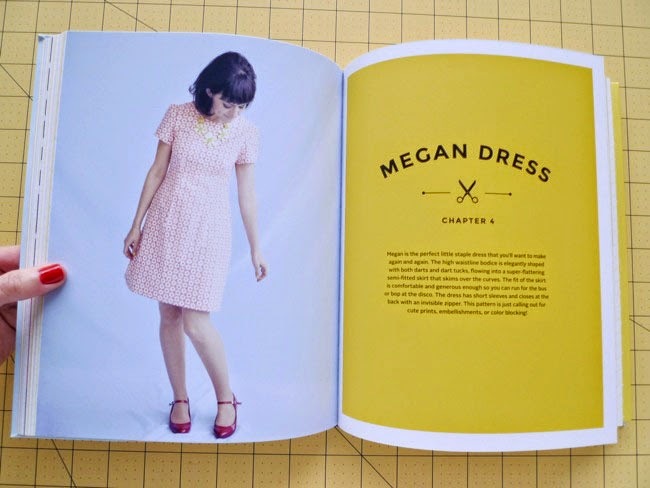 The book has received over 100 five star reviews on Amazon.co.uk (thank you!) 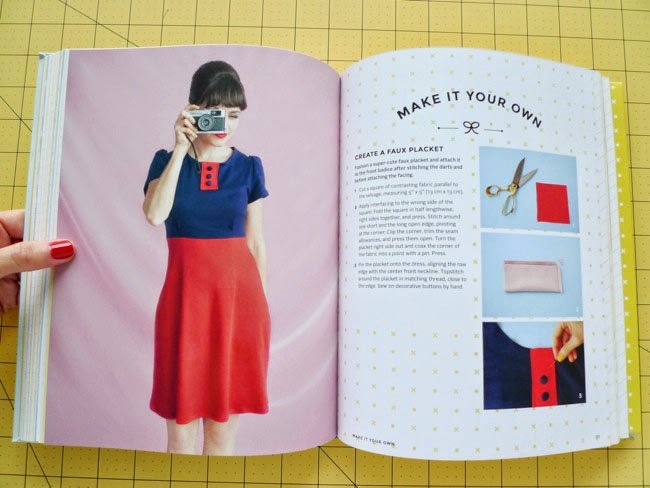 and has been nominated as Best Sewing Book 2014 in the British Sewing Awards (please vote if you haven't done so already!). 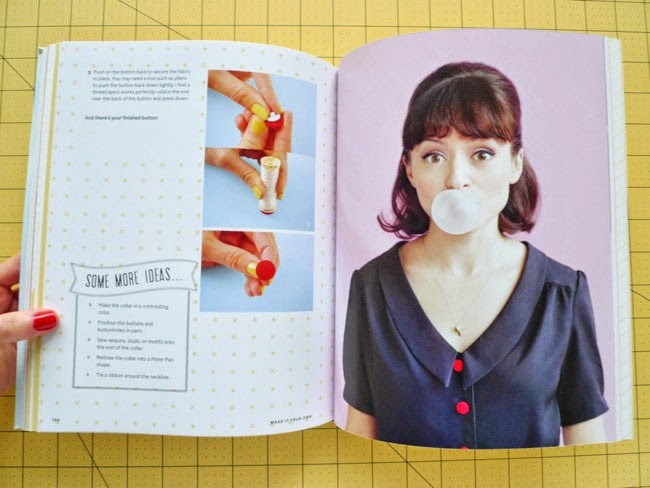 I can't wait to see what you make from the book - do send me a photo (or Tweet me), and I'll add it to the other lovely creations in the Maker Gallery. Order the book from Amazon.com now! 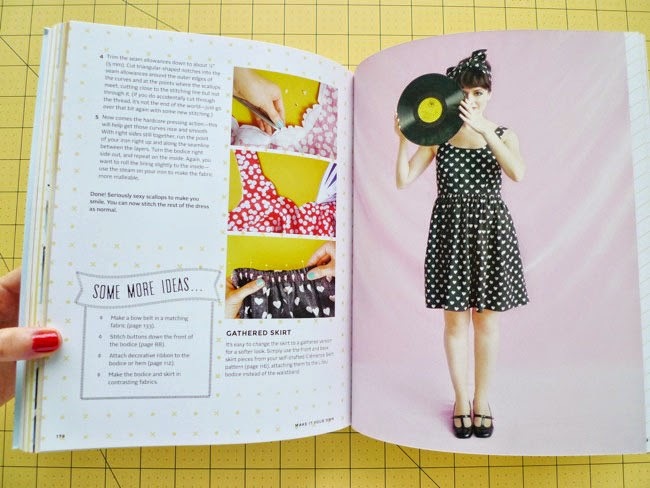 Do You Vacuum Your Sewing Machine?